Once, a very long time ago, there was a very tall, thin man walking in the woods. He was not very nice to the woodland creatures so when he made a fire to keep himself warm that night, they sang a chant around the fire. The man has never woken up from his deep sleep but, he must have been dreaming very hard. As a result of the human being able to hear them, his ears grew many times there original size. 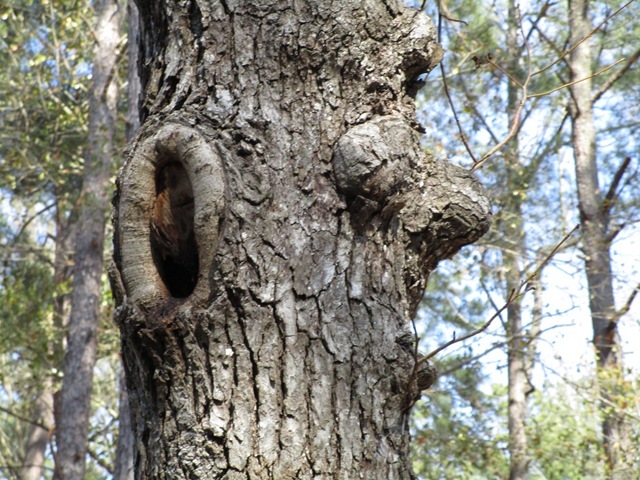 Some woodland creature has made a very nice home in his ear. I came across Slim Jim Woodkin today, you tell me, does he look happy to you?